Touched down in the USA this afternoon and I've never been happier to see one little smiling face waiting for me at the front window to the house. 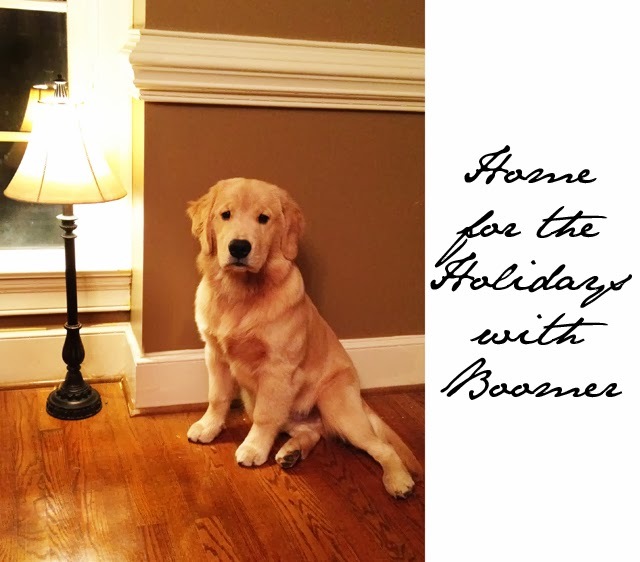 Yes, folks, I'm home with Boomer for the holidays and I asked him to sit and pose for a photograph for his adoring fans and he gave me this most marvelous stance. I had to share as he is growing up so fast. Seems just yesterday we were bringing this golden retriever home from the airport. Now he's almost a full size dog. How did that happen so quickly? What do you think, shall we bring back the daily boomer for the next few weeks over Christmas? Let me know in the comments below.